We’d love your help. Let us know what’s wrong with this preview of Love & Gelato by Jenna Evans Welch. To ask other readers questions about Love & Gelato, please sign up. Does anyone know books like this one? With a beautiful scenery, a sweet romance and something else (in this case her mother's diary)? Erin Hawley Anna and the French Kiss! Is this book appropriate for a 7th grader? This was super cute and really interesting! More thoughts and possibly a BiblioBabble to come! WARNING: Love & Gelato may trigger a dizzying yearning for gelato. I repeat, Love & Gelato may trigger a dizzying yearning for gelato. Beware, readers! This contemporary novel is exactly what I needed after finishing a frightening thriller novel – Behind Closed Doors. It took my mind off negative thoughts about life and marriage. It’s a romantic and mysterious story starring a very lively American girl who is sent to her father’s house in Italy by her grandmother after her mother succumbed to cancer. The theme of family is ever present. When Lina arrives in Italy, she is given her mother’s journal for when she studied photography there. Lina not only wants to understand what happened between her mother and Howard – why they are not together anymore – but she also wants to feel closer to her mother by doing so. It’s very heartfelt. I especially enjoyed the snippets of her mother’s life in Italy. While her story is indeed saddening, there is good that comes out of it. Lina also meets a charming male fellow living next d—field to her. Ren is sweet and respectful and open and generous – I took a like to him. While there is a mild love-triangle situation going on, it’s easy to discard it from one’s mind. So that’s the good part. The no-so-great part is the cluelessness and confusion. If there’s one thing I’m annoyed with is when a character refuses or can’t see the obvious in front of her and has to go through great lengths or experience painful events to discover what was always crystal obvious. In other words, I dislike clueless characters, and Lina is definitely one of them. Furthermore, the whole ‘‘who is my father?’’ situation didn’t need to be that complicated. And it’s not that it’s complicated per se, but the author made it so. She deliberately confuses us! To some extent, I love being played with and being able to guess things for myself, but when someone is actually making me walk circles over and over again—no, thank you. I had fun with Love & Gelato. The setting is gorgeous, the main characters are heart-warming and the adventures pretty darn diverting. It’s not impressive, but it sure is a pleasant summer read. The story narrated in this book is one of friendship, family, and first love. The characters enhanced the concept at the core of this book and the dynamic between each of them was written very well. Lina, after facing the trauma of losing her mother, flies to Italy for the summer in order to fulfill her mother’s last wish. Her mother also seemed to arrange for her to live with Howard, her mother’s friend from her days in college. After her mother passes, her grandmother informs her that her mother left out the minute detail that Howard also happens to be her father. Now in Italy, she finds out that Howard, who refuses to refer to as her dad, lives in a graveyard. Not the ideal place for a girl who just lost her mother. Struggling with her mother’s death and trying to accept that Howard is her father, she tries to cope with her situation for the summer. As the story progresses, the author takes us through Italy in the protagonist’s attempt to understand her mother’s year in college. After Lina’s arrival in Florence, she is handed her mother’s old journal, one she has never seen before, which she has never seen before, which is weird because her mother is extremely open about her journals and is well known for her entertaining writing. In an attempt to see Florence through her mother’s eyes, she makes her way through the town with the guidance of the journal. And she has come to realise that her mother’s college years were unlike anything she imagined. A romance the seemed to have ended badly, a proclamation that could change everything, and the story of a vibrant woman making her way through life, her mother may have secrets of her own. The journal allows her to finally understand the piece of her mother’s life she has never known about, and maybe even why she never knew her father. Maybe that was just part of the Italian experience. Come to Italy. Fall in love. Watch everything blow up in your face. Since her mother’s journal is inserted into the book, we follow not one but to women making their way through Florence and finding love. Watching her cope with her mother’s death and come to peace with her life as it is now is amazing. We watch her open herself to the possibility of a life in Florence and makes a friend through a very unusual set of circumstances. Now that I have finished reading this book, the title seems to the most endearing thing about it because a story with such depth can only be described by Love and Gelato, and anything else wouldn’t seem right. The characters were amazing, the description of the city was perfect, the relationship between the characters and the city was written lovingly and overall there is nothing I would change about this book. Super cute. I loved it. - coming of age story (loved the connection between lina and her mothers journal). check. - set abroad (ughh. how romantic is italy!? sigh). check. - swoon-worthy crush (pls marry me, ren, i luv u). check. - fun adventures, amazing characters, and heartfelt message. check, check, check! This might be the cutest book I've ever read. The entire thing was just so hopeful and HAPPY (even when the topic might not have been). The Italian scenery was gorgeous, the food was amazing, and all of the characters were so precious. I wish I could go back and read it all over again... or just go to Florence this summer myself. If you're looking for a good YA contemporary (or just a lovely book in general) I definitely recommend this one!! "You know, people come to Italy for all sorts of reasons, but when they stay, it's for the same two things...love and gelato." Lina is only in Italy because of a promise she made to her mother on her deathbed. She isn't moved by the country's beauty—she's having too difficult a time dealing with the fact that she's going to be living WITH HER FATHER (about whom she never knew anything), much less living in a house in the midst of a famous cemetery, because he is the caretaker. Why didn't her mother "You know, people come to Italy for all sorts of reasons, but when they stay, it's for the same two things...love and gelato." Why didn't her mother ever tell her anything about her father? What could have happened 16 years ago that would have been so bad that she not only fled Italy, but she never returned, and never made contact with the man again? All Lina wants is answers, and what she knows she doesn't want is to spend time getting to know Howard, umm, her father, or settle in—she's ready to head back to the U.S. and move back in with her best friend, Addie. But little by little, Italy's charm starts to wear her down, and so does Ren, the handsome Italian-American boy who lives not too far away. And when Lina gets her hands on her mother's journal from the time she spent in Italy, she's determined to find everything she can about why her mother kept so much a secret from her, and why she left this magical place and a man she was supposedly in love with. "Maybe that was just part of the Italian experience. Come to Italy. Fall in love. Watch everything blow up in your face. You could probably read about it on travel websites." The deeper she gets into her mother's journal, the more confusing things become. It looks like her mother was an expert at keeping secrets, and if they're revealed, they could be painful for some. So with Ren as her sidekick, she embarks on a journey to trace her mother's steps and figure out the path her love story took—no matter what the consequences. And along the way she understands just how her mother fell in love with such a beautiful country, and how complicated the line between love and friendship can become. Having just read a fairly emotional book, I was looking for something lighter and fun. Love & Gelato totally hit the spot—it was sweet, well-written, and I fell totally in love with it. It was a YA novel that certainly didn't feel like one, and yet the characters spoke like teenagers, not like sarcastic comedians. Jenna Evans Welch's prose made this novel sparkle like the Italian countryside, and her imagery was tremendously evocative. There really isn't anything surprising in this novel—not even the "surprise" that Lina discovers—but that doesn't matter. Love & Gelato has so much charm, heart, and romance at its core that I flew through the book, and now I'm sad that it's all over. If you're feeling like you need a change of pace from brooding thrillers or family dysfunction, Love & Gelato may be just what il medico ordered! I know I'll be reading Welch's new book when it's released in May. This super cute YA-Contemporary was everything I was looking for and more. Funny, witty, romantic and delicious, I loved every moment of experiencing Italy with Lena. The 'found family' elements were extremely well done and I appreciated the love and friendships in this so much. My only disappointment is that I waited so long to read it! Original: The 'Unread Shelf Project' continues in 2019!!!! I bought this book well over a year ago - time to pick it up. I need a nice warm & I just died. I bought this book well over a year ago - time to pick it up. I need a nice warm & fuzzy palate cleanser after all the dark stories I have been reading lately. The plot? Adorable and intriguing. The characters? Pretty great. The setting? INCREDIBLE. So much good stuff in this BOOK! I loved the twists and the turns of the plot as well as the added element of Lina's mom's journal. And a book set in Italy just.....so good. So so good. 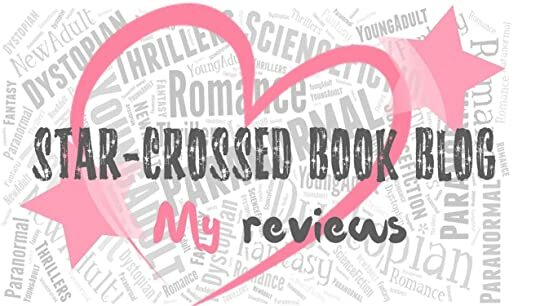 If you enjoy contemporary romances you'll for sure enjoy this book. hi can i give this book 10/5 stars because THIS BOOK IS FANTASTIC. I HIGHLY RECOMMEND. i LOVE THE CHARACTERS AND STORY AND THE COVER AND EVERYTHING. ok. also, love & gelato is an extremely easy and quick read that's addicting and amazing and i'm in love!! I will be displaying my emotions through Ron Swanson gifs. Love and Gelato was a book I desperately wanted to love. I mean, the set up was perfect. Italy, love and gelato (which I've never actually had but it sounds good). Italy is a destination I have always wanted to travel, and how could you not with all the culture present in the cities. "It's a cemetery." My voice was like weak tea. What? What in the name of all things holy and blessed does this mean? Is weak tea really the metaphor you choose to use? I knew this book, and I would have a problem here almost instantly. I can handle crazy metaphors sometimes, but this was a no and was at the very beginning of the book, so it could only go downhill. For me, it did. Not only did my hatred for Lina become cemented in the first 100 pages of the 900 page eBook but I was subjected to countless more strange and "quirky" people. However, Lina was just rude. I understand her mum had died six months previously, and it seemed like that was leading up to be an excuse featuring through the rest of the book, but she was rude. She was unwilling to give her recently discovered father a chance. I don't understand why because she isn't even sure if he knew about her existence. Is a sentence I never want to hear again because what? Oh, we also get to introduced to Lina's totally tacky awesome best friend, who is like so idiotic funny. Like Ron's burger, this completely missed the mark for me. I can't even add onto that. I understand there is a "tacky tourist" look, but honestly, if I went travelling I would probably be a tacky tourist myself and guess what? That is fine. I understand some people may think I didn't give this book a fair go, considering I decided to DNF at 10%, but honestly, I couldn't subject myself to this. I couldn't put myself through head banging sentences and characters who are meant to be funny and different but are simply rude. It's possible this story is super cute, but I won't be sticking around to find out. Honestly, what this book felt like was a jumble of words that shouldn't have slipped past an editor, in my opinion. This book was successful in getting rid of my sucky reading slump. After a month of force reading various books, this book performed its magic and voila! Reading slump gone. I never thought that a super cute young-adult contemporary romance is what I really need. This was the first contemporary book I've read this year and I absolutely adored it. The plot, characters, and setting were captivating. The setting of the story is in Italy. Oh gosh, Italy... I 5-I-NEED-AN-ITALIAN-DUDE-RIGHT-NOW-STARS!!! The setting of the story is in Italy. Oh gosh, Italy... I really really want to go to Italy. I loved that the author wrote a vivid description about Italy. I learned a lot of Italian things thanks to this book. The food, the culture, the history, the people, and the places. I love it all. The plot was simple yet gripping. It wasn't super complicated, which I figured was the best one for a person who's slumping. The pace of the story was set in a normal pace. It tackled about the importance of love, family, regrets, and hope. I also loved the characters. I had some issues with Lina on the first part of the book, she was a little bit bratty and selfish but that was understandable because her whole life was turned upside down because of the big reveal from her mother and grandmother. I actually liked how persevering, brave and adventurous she is. Ren is so charming. He is an Italian-American boy who lives nearby. He helped Lina with revealing the truth about her mother's past life in Italy. I really loved the personality of Ren, he's just the chill, cheerful, and adorable guy who decided to show Lina how beautiful Italy is. Awww! This was a really cute summer read. I loved the whole Italian experience accompanied with lots of Italian history, gelato, and young love. Perfect! This story had it's ups and downs, I enjoyed the mystery part and I loved the character growth, I still feel giddy. Mashup review featuring it coming soon! This was pretty damn cute, you guys. All I want to do now is go to Italy and fall in love with some Nutella pastries. Insert gif of Emma Stone saying YUM here. one I’ve seen mentioned for years with warm-hearted reviews. I grabbed a freebie library - overdrive ebook copy. ...will definitely ‘require’ a yummy gelato treat for readers!!! Love and Gelato is the perfect book to enjoy this summer. Set in Italy, this book is absolutely breathtaking. The fact that there are old journal entries in the story makes it so much more incredible. Trust me, after reading this book, you’ll be craving some gelato! Love and Gelato has such an interesting concept! This book tells the story of Lina, a girl who moves to Italy after her mom dies. When she gets there, she is given an old journal of her mom’s and learns many secrets about her. I really enjoyed reading about Lina’s journey across Italy as she tries to solve the mystery of the journal. She gets herself into many sticky situations, but also makes some really amazing friends along the way. This book was the perfect thing to kick back with in the warm weather. I absolutely adored the Italian setting in Love and Gelato. The way the shops and the landmarks are described is absolutely breathtaking, and I wish I could experience it all in real life! The Italian culture in the book really intrigued me, and I actually learned a few phrases while reading. I have wanted to visit Italy my whole life, and reading this book made me want to go even more! The journaling aspects in Love and Gelato really drew me in. I love the idea of finding an old journal, and discovering that this book incorporated that got me really excited. I enjoyed how the journal entries were added gradually into the book—slowly, then all at once. As Lina warms up to the idea of learning more about her mom, she eventually reads more and more of it. Something about that made me love the story even more. To be honest, I was more interested in the gelato part than the love part, but it was still pretty cute. "You know, people come to Italy for all sorts of reasons, but when they stay, it's for the same two things." When 16-year old Lina’s mother passes away from pancreatic cancer, she is encouraged by her grandmother to spend the summer in Tuscany in order to get to know Howard – a father she never even knew existed. Lina would have never guessed she’d end up living in a cemetery, or that her mother left a journal regarding her own time spent in Italy or that she would be uncovering a huge secret during her summer abroad. 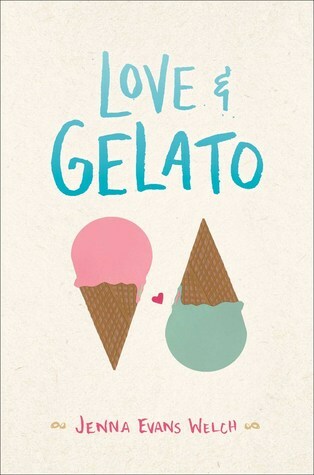 Love and Gelato was an instant “yes please” due to the title and adorable cover. The story was a little bit . . . .
And a little bit of this . . . .
With a little bit of this . . . . In case you aren’t familiar with that last image . . . . This was a cute story about a girl finding a way to move on with life after losing her mother. Lina made a promise to her dying mother, finding herself in Italy with a father she had never met. Lina’s experience tugged at all the right strings for me. What brought my overall enjoyment down, though, was the diary her mother left for her. Actually, that’s not true. The diary itself didn’t bother me, especially once the story came full circle. No, what drove me bananas was the way Lina chose to read This was a cute story about a girl finding a way to move on with life after losing her mother. Lina made a promise to her dying mother, finding herself in Italy with a father she had never met. Lina’s experience tugged at all the right strings for me. What brought my overall enjoyment down, though, was the diary her mother left for her. Actually, that’s not true. The diary itself didn’t bother me, especially once the story came full circle. No, what drove me bananas was the way Lina chose to read it a bit at a time in dribs and drabs. I’m sorry... but if I was thrust into the arms of an unknown father in a country I had never been to, you can bet I would be reading that diary cover to cover to get some answers. I just didn’t buy that Lina was too overcome with grief to keep reading. I did not expect to like this book as much as I did. It was funny and cute but also moving and devastatingly sad at times. It was amazing to learn so much about Italy and Florence, it felt like I was there with Lina and Ren. I really really want to go to Italy now! I don't usually read books like this where the protagonist goes on a journey of self discovery or whatever, but this book lifted my heart. I loved the writing style, and I'm looking forward to any future works by Jenna Evans Welch. ___ I did not expect to like this book as much as I did. It was funny and cute but also moving and devastatingly sad at times. Ya’ll. This book got me out of my reading slump. I’m super thankful for those of you who recommended it! Also, I think it’s official: I like Romance novels. Well. Not straight-up Romance, but books like Love and Gelato where it’s contemporary mixed-in with humor, reliable characters, and an adorable romance — count me in (and recommend me more books, haha). I’m not ashamed to say that! These books are addictive. As someone who travels to Europe for 2-3 months every year, I enjoyed Jenna Welch’s accurate depiction of Italy. Their gelato really is that good; and yes, everyone really does walk everywhere. So the little things Lena noticed as an “American tourist” were entirely realistic. Ah. It all sounds good, right? Well, not everything was. A few things that brought down the rating were how predictable the events were, for one. The whole Thomas crushing on Lena and making Ren jealous and “issues” with her actual father… I called all of it. Doesn’t mean it wasn’t enjoyable to read though. The writing, in turn, was good and simple. Almost too simple, since it left little to imagine. But, hey, I’m not complaining. Now I'm craving some authentic, Italian gelato and cute, Italian guy with it. Love & Gelato was a cute, quick, summer read and just what I needed for the plane journey, on which I read it from start to finish but unfortunately, despite this, I didn't fall in love with it. the characters or feel any strong connection towards them(other than Howard who was a sweetheart) and overall I just couldn't get past the incredibly short time period this book was set over, considering the amount of events that occurred. I've never been a fan of instalove and Love & Gelato was a cute, quick, summer read and just what I needed for the plane journey, on which I read it from start to finish but unfortunately, despite this, I didn't fall in love with it. the characters or feel any strong connection towards them(other than Howard who was a sweetheart) and overall I just couldn't get past the incredibly short time period this book was set over, considering the amount of events that occurred. I've never been a fan of instalove and especially not when that 'instalove' becomes 'actual' love after less than a week?! I mean sure, maybe this guy was super cute but going to a strangers house to meet their mother within a few minutes of first meeting?! STRANGER DANGER PEOPLE!! (I've suddenly become super aware of how old I feel right now... 😅) That being said, if you're a fan of instalove, I'm sure you'd very much enjoy this book! I also found that the characters read very young and Lina's excessive use of the word 'like' felt like a bit of an overkill in trying to make her sound even younger. There were also a few ableist phrases used that I wasn't a fan of at all. After finishing this book, (well also during reading it) I had major cravings for some gelato. It was super cute and mysterious. I couldn't put it down! Because of this book, I want to go to Italy even more now. This is not something I usually do. I don't write reviews. But I really have to get something out of my chest: I am SO TIRED of American authors writing books about Italy/Italian people without even bothering to double-check what the hell they are talking about. So the main character is Lina (really? Is it supposed to be a popular Italian name?). Her mother dies of cancer and she has to move to Italy to live with her estranged father. So she arrives to her father's house (that is in the middle of This is not something I usually do. I don't write reviews. But I really have to get something out of my chest: I am SO TIRED of American authors writing books about Italy/Italian people without even bothering to double-check what the hell they are talking about. So the main character is Lina (really? Is it supposed to be a popular Italian name?). Her mother dies of cancer and she has to move to Italy to live with her estranged father. So she arrives to her father's house (that is in the middle of cemetery ?? okay) and that's when it starts getting reaaaally annoying. She meets Sonia, her dad's assistant (or something like that), and OF COURSE Sonia is a "tall, gazelle-like woman with coffee-colored skin and rows of gold bracelets on each arm. Gorgeous." OF COURSE. I mean. Italians are all tall, beautiful gazelle-like people with coffee-colored skin. Even those who live in Tuscany (which is center-northern Italy, fyi). That's why I'm as pale as a ghost. Anyway. They sit to have dinner (the table OF COURSE was “set with a red-checkered cloth”), lasagna and garlic bread (come on guys, garlic bread is so an American thing) and her father informs her that she can't FaceTime her best friend because "Italy isn’t exactly on the cutting edge of technology” (I mean REALLY? You do realize that it's 2017 in Italy as well?). And then he offers her wine because "Italy doesn’t have a drinking age" which is SO untrue I MEAN WHAT HELL? Get your facts straight. I know I say this a lot, but seriously-What a pleasant surprise!! Seriously. There are few books that manage to surprise me, and it’s even rarer that I fall for a book set overseas. Don’t ask why and I won’t explain-Just know that there are really only two books that have successfully stolen my heart that take place outside of the US…and they are Anna and the French Kiss and The Fever series. I will say this, though; I was MOMENTS away from DNF’ing this. Yup, you read that correctly: A book that turned out to be absolutely adorable almost slipped under my radar. I had been avoiding it for a while, but even when I did give it a try, I almost gave up on it. In the beginning, there was just too much of her alone, her with her sadness, her mourning her mother’s loss…now, come on, I’m not heartless-I realize she had to feel helpless and sad and lost, but I’m already finicky, so I was drowning in those pages. But, right when I was about to give up, something happened. Something big. Something HUGE-Lorenzooo started sniffing around…and my heart couldn’t take it. I was hooked. Oh, did you think it was actually something huge? Pshh. Y’all know me better than that. Give me a good boy, a quirky little adventure, and some swoony moments and I. Am. All. In. And that’s another surprising thing-I don’t much like frolicking. Like…scavenger hunts, mysteries, journal entries from anyone other than the two lovebirds. And, if I’m being honest here, I didn’t fall in love with it here, either. But I honestly truly loved how her and Ren found each other through her mother’s journal. I loved the places they saw, the things they did, the way they bonded and became closer because of the vivid picture her mother’s words painted. Where most stories find their momentum through all the romance, this story found it’s rhythm in a young girl’s grief. And, frankly, I think I respect this book for that. Yadda yadda of COURSE I wish there had been a little more romance-sure. But it was all the more special as the romance built and built, giving us spurts of butterflies throughout the entirety of the story, all leading up to an explosion of adorable jealousy and feels that leaves you so happy you’re breathless. Or was that just me? And, okay, I so wasn’t going to say this, but when I read L&G, I really and for true had Anna and the French Kiss type feels. Yeah. So….this book, while adorable, had a lot to live up to even from the start. And, I admit, this did put a lot of pressure on an otherwise light book that I normally wouldn’t have put so much stake on. But, back to my point: I had read reviews prior to buying this story that said it was similar to AATFK, and those are huge shoes to fill, I’m sorry. Yet…and yet. “Thinly sliced ham. You’ll love it.” He sat down next to me and I unwrapped the sandwich and took a bite. Of course I loved it. But it was nothing compared to how I felt about Ren. And yes. I’d totally just compared the only guy I’d ever felt this way about to a ham sandwich. In all the ways that counted, I felt like I was back to my darling Anna and St. Clair’s world, and it felt tremendous. Ren was light-hearted, cute, witty, fun…and just absolutely adorable. He was funny and he made me laugh in the most innocent ways-he was flirty without being smarmy, he DID have a girl…but I can’t say what went on. All I can say is that he didn’t cheat. But, you know, I know some people that are bothered by that fine line…spoiler alert: I AM NOT ONE OF THEM. HA. Anyway, back to Ren’s perpetual allure: He could make me smile with the smallest ‘facial expression’, making for a scene that filled my heart with joy while being so simple. And I think that’s missing in books these days, for me. I just want a simple, cute, breezy YA contemp. Is that too much to ask? Apparently it is: but this book delivered in spades [for me]. So…I don’t know. I don’t like making comparisons where I don’t feel comparisons are due, but I also can’t deny I had a lot of those same feels. Maybe it’s the foreign aspect? The having a significant other? A group of friends? Either way, they are each their own individual story with their own individual storylines, they just have some of the same fun things. Like, for instance, one centers solely on the sordid (though I SEVERELY disagree with that word) romance and school while L&G is after a girl’s mother passes and she gets a journal from her mother’s younger years where she was a student in Italy and how she fell in love…and made the wrong choice. It’s about a girl trying to figure out her mother’s story and finding a fast friendship with a boy who wants an adventure, as well, and them following her mother’s footsteps. I don’t know. Perhaps its as simple as Paris and Italy being places I’ve always wanted to go to and these stories transporting me there with fun journeys, vivid story-telling (whether inaccurate or not, I do not care-again, I’m side-eyeing you, Bug. Just…don’t lol), love and romance, and, of course, Gelato. I mean really…what else could a girl ask for? What else do you need? The answer is nothing. “You know, people come to Italy for all sorts of reasons, but when they sat, it's for the same two things."